I am Mamie Sheen, board member of the Boulder Flycasters. I moved back to Boulder in 2014 after almost 35 years. Although I grew up here, I never picked up a fly rod until 2007. I have been a very active member in event planning and fundraising for the National Capital Chapter of Trout Unlimited as well as the Mid-Atlantic Council in Maryland. Expect a call or an email from me enlisting your help for our projects here! I eagerly volunteered as a flycasting instructor with Reach to Recovery, as my mother was a breast cancer survivor. When in Ohio (GO BUCKEYES! ), I was part of the Madmen Chapter of TU. I believe strongly in the mission of Trout Unlimited and am a life member. I readily admit that I am addicted to flyfishing and have already fished almost half of the US, Canada, Costa Rica, and most recently the Bahamas. I am determined to learn Colorado waters and committed to serving and protecting our precious cold water fisheries. When not on a river or stream, I am an Information Technology Solution Executive, entrepreneur, football enthusiast, amateur artist, and gourmet cook. 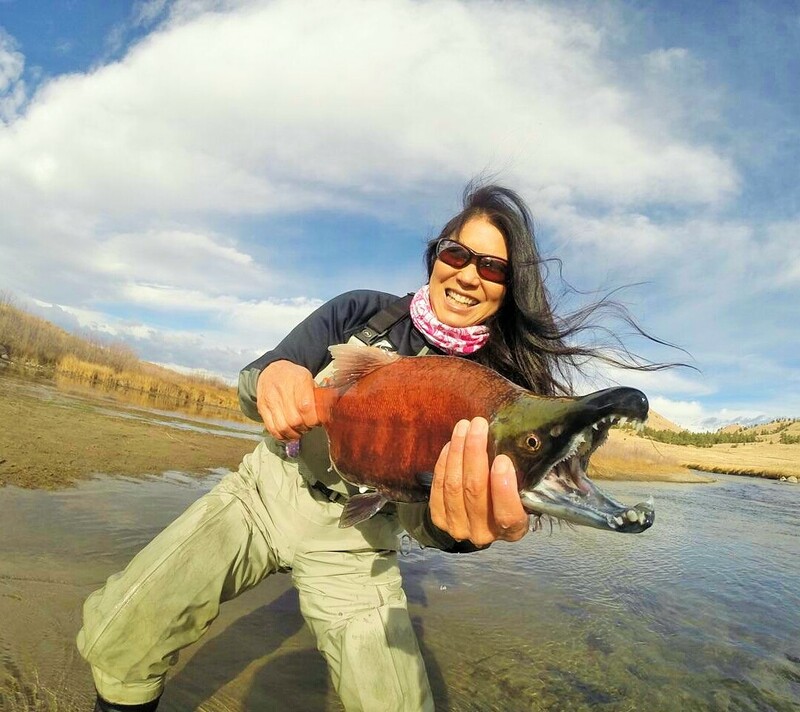 I am the founder of Mamie’s List, a newly created, work-in-progress website dedicated to flyfishing enthusiasts. It is a way to find, rate, review, and learn about businesses, organizations, locations, services, and products related to flyfishing throughout the US and internationally.